Make the crumb topping: mix the dry ingredients, and then cut the cold butter into the dry ingredients, rubbing the dry mix and butter between your fingers until it takes on a crumbly texture. 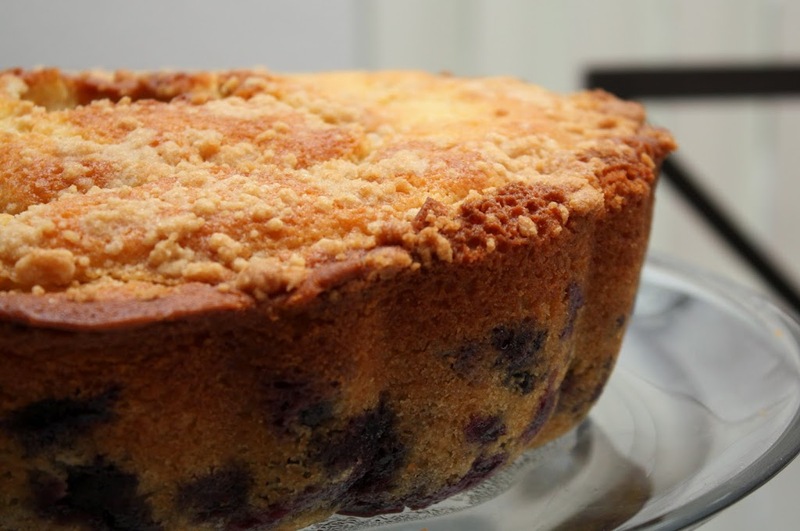 Rinse the berries, air dry, and then toss with 2 teaspoons flour. Generously butter and flour the Bundt pan. Make the cake: In a medium bowl, combine the dry ingredients, except for the sugar. Separately, whip the butter and sugar together in a stand mixer (paddle attachment) until light and fluffy, about 3 minutes. Add the eggs one at a time, beating for about 15 seconds after each. Scrape the bowl, add the vanilla, and whip for another 1-2 minutes. On low speed, add the dry ingredients and buttermilk to the butter mixture, alternating between the two. Fold in the berries with a spatula, being careful not to break any. 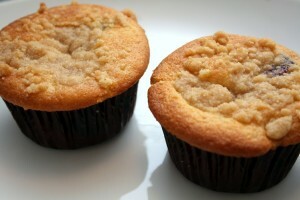 Scrape the batter into the pan, level the batter, and sprinkle generously with the crumb topping. Bake for 45-55 minutes, and then let sit for 10 minutes before un-molding the cake. Flip the cake back one more time so that the crumb topping is on top. This recipe is from Fine Cooking Annual, which, by the way, is filled with amazing recipes. I don’t think we’ve ever hit upon a bad one in there. 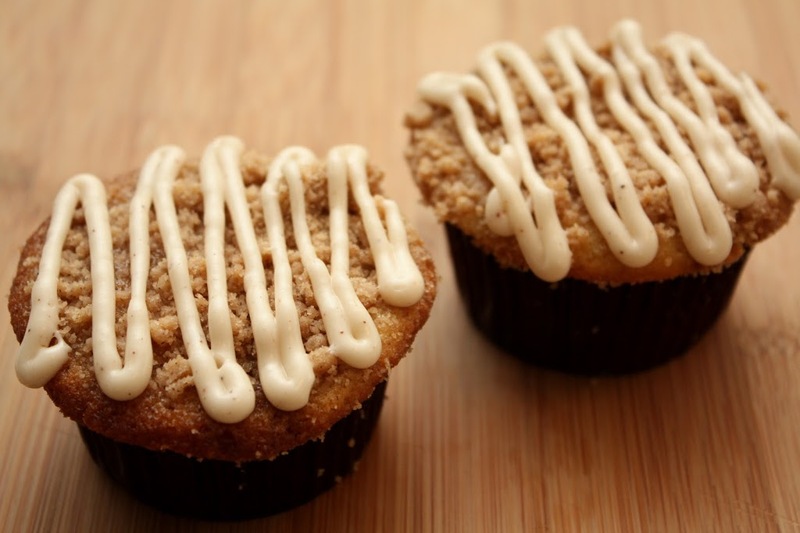 For cupcakes, bake for approximately 25 minutes at the same temperature. I have had some trouble with the crumb topping sinking in the Bundt cake (including the one pictured above). First I thought the crumb topping was too warm; then I thought it was too cold; then I thought perhaps I got the the crumb ingredients or consistency wrong, but no tweak was fixing the problem. My next idea was to watch what was going on while the cake was in the oven. As I watched, I saw that the batter along the outer and inner Bundt pan surfaces was rising faster and folding over the center. Consequently (because I’m a ChemE major . . .) I thought that this must be some fluid/thermodynamics issue, and surely I could fix it. Perhaps my batter was too cold, or there was otherwise some other reason for too high of a temperature gradient. But nothing I tried seemed to fix the problem. This past weekend, I finally realized the issue. I recalled the first couple times I made this, when I had no problem at all, and was certainly less careful and meticulous about my preparation process. Back then, in law school, my kitchen was pretty sparse and I didn’t bother getting creative with recipes. I hand-buttered and floured the pan because the recipe said to, and I didn’t have one of those baking sprays with flour. My crumb wouldn’t sink then, but my cake would sometimes break as I tried to un-mold it. At that time, I thought the cake broke because I didn’t grease the pan properly and the cake was getting stuck. So I switched to those baking sprays with flour, thinking I’d get a more even coat. The problem is, that’s not why my cake was breaking. I was simply underbaking it in my crappy law school apartment oven. And what I now realize is that, while the flour baking spray does evenly and consistently grease a pan surface, it provides less insulation versus buttering and dusting flour on the pan. As a result, with less barrier layer insulation, the outer batter cooks much more quickly than if I had stuck with a hand-dusted flour layer. So . . . it is a fluid/thermodynamics issue after all. Did you really just read all of that? « Strawberry Cupcakes – Is It Springtime Yet? 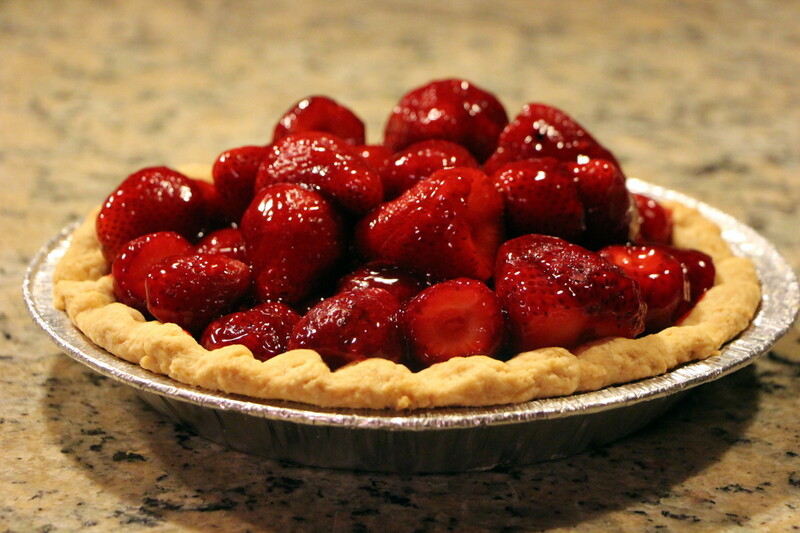 Strawberry Pies & Tarts – Happy 4th of July!